Keep those tweets short. According to The Fast Company, the ideal length of a tweet is 100 characters. 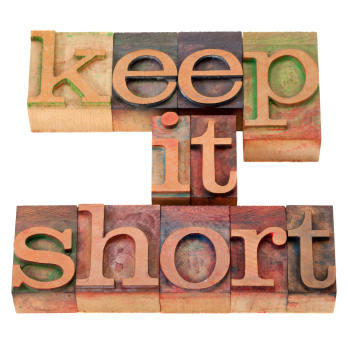 Stop those lengthy URLs from taking up space by using a service like bitly that shortens them. If you want people to retweet you, then you need to retweet them. Be social, spread their word to spread your own. Tweet relevant and useful information, not just product pushes. Having a good strategy in place for using Twitter and other social media hones your talent in creating short, creative and effective messages to your customers and clients. It’s also a great place to check if you are looking for tag line for your corporate ecards this Christmas time.